Home > MapleStory 2	> MapleStory 2 Alpha Test Information! MapleStory 2 Alpha Test Information! Hey guys! I mentioned in my last post that registration for the MapleStory 2 Alpha Test would open yesterday, and it did! Some people have asked me how they can sign up and so I’ll mention that in this post, as well as information regarding PC requirements and other assorted Alpha test shenanigans. You can check out the updated/redesigned MapleStory 2 homepage here if you want. 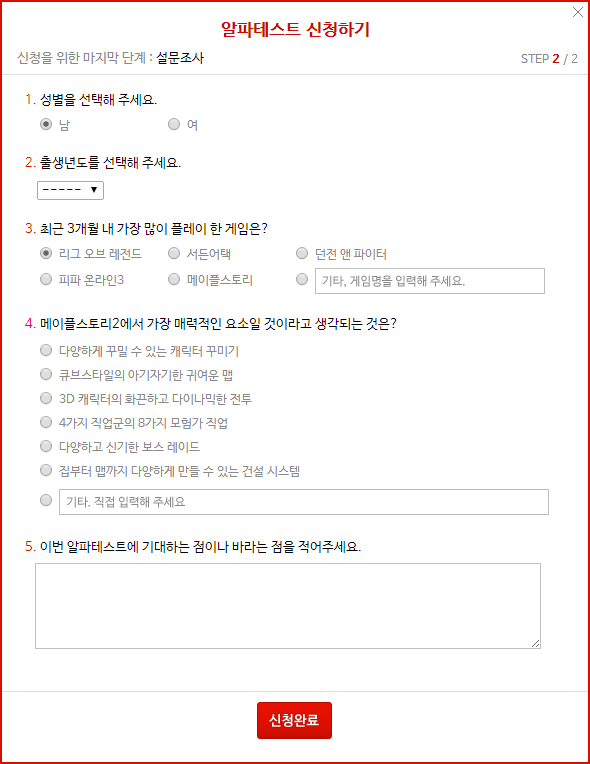 For those of you that have accounts with Nexon Korea, you can sign up for the Alpha test by going to the homepage and pressing the Apply to be a Tester button beside King Slime. Make sure you’re logged in first. You’ll then have to confirm your information and then comes step 2. It’s just a bunch of questions you have to fill out. 1. Please choose your gender. 2. Please choose your year of birth. 3. Which of these games would you say you have played the most in the last 3 months? 4. 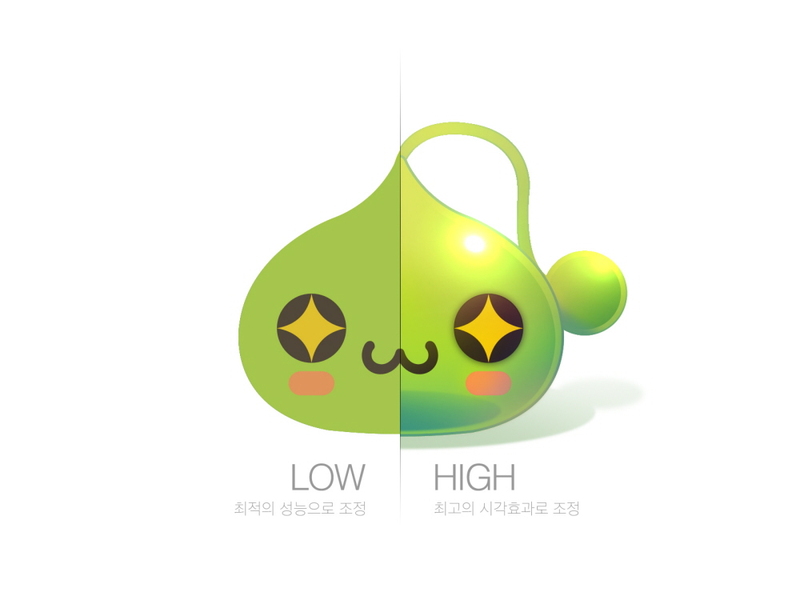 Which feature of MapleStory 2 are you most excited for? 5. Please note what you are expecting from this alpha test. And then press the red button to submit, you’re done! You will be contacted by email later if you are accepted to the Alpha test! Here is the schedule for the Alpha test! Registration will be open from August 28 to September 10, and those who are chosen to participate will be notified on September 15. The test itself will take place from September 17 to 21. On testing days, there are time limits for when users can play. 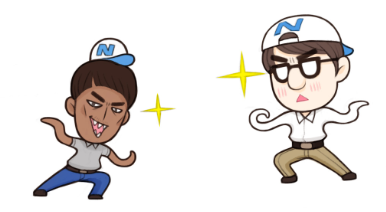 On the 17th/18th/19th, the game will be open from 6pm ~ 11pm, and on the 20th/21st, it will be open from 12pm ~ 11pm. They also posted information about the game’s graphics and system requirements. Users will be able to change the graphics to better fit their computer’s specs. Above is a Slime monster, and you can see that on High, there are much more detailed textures. The skill motions and town backgrounds will also be affected, obviously being more detailed on High settings. You will be able to change the graphics from Low/Medium/High/Best. Each one comes with its own settings on the different effects in the game. I’m not sure if you can create your own custom settings (but it’s probably a good bet that you can). Effect quality will change how good different things look, based on the stage (1 being worst and 3 being best). Brightness is self explanatory. Anti-aliasing makes outlines smoother and less jagged. Real-time shadows means that shadows from objects in the game will update constantly based on your position and light sources. They also posted the average system requirements for each graphics settings. As you can see, the Low settings’ requirements are quite low, so I don’t think anyone will need to worry about being able to run MapleStory 2 haha. The two GMs, Warwick and Jackie, also answered some other questions users had about the Alpha test. They confirmed that after this Alpha test is over, all information (including character names, levels gained, and items acquired) will be deleted. In addition, users will be able to post freely about anything they encounter during the Alpha test. Yay! I’ll definitely be on the prowl for information and videos to share with you guys. Finally, after the test is over, the information acquired will be used to improve MapleStory 2 until the next testing stage is ready! They will be releasing a more detailed schedule for future testing at a later date. Haha, signed up; I hope I get in! Malaysia can’t go into the net? Can’t get into the main page http://maplestory2.nexon.com/. Your area might be IP banned, try using a proxy program? ” Maplestory 2 ” , the first link you see is a korean web of ms2 , next to the link you have ” translate this page” , click it and you can sort of get in . I’m trying 2 start the game but I can’t do it, y? Because it’s not out yet? isn’t it sort of a given that alphatest data would be tossed? impressed at how low the “low” specs are; I guess wizet/nexon have learned a few things about optimization? Why don’t you need a KSSN to make an account anymore? I thought it was a law in korea that you gotta use a KSSN for online games. or can you not play any games if you dont verify with a KSSN or something? Do the GMs play league or something? Warwick really!! MapleStory 2 Closed Alpha Test~ kMS ver. 1.2.220 – Shining Star!